The Academy Is... were formed in 2003 and caught the ear of Fall Out Boy’s Pete Wentz, getting them signed to Fueled by Ramen immediately. Beginnings like that basically confirmed that they would have a quick rise to scene royalty. Their first album, Almost Here, created a big splash, getting them on tours with Fall Out Boy and Something Corporate, and their own headlining tour with Plain White T’s supporting them. Follow ups Santi and Fast Times at Barrington High landed at 32 and 17 on the Billboard music charts respectively. After appearing on Alternative Press’ Fall Ball tour and releasing an EP exclusively for that tour, two of their bandmates decided to leave the band. Even after assuring they were still releasing another full length album, the band mutually agreed to disband and pursue their individual music endeavors. They’ve all been pretty successful, but nothing can capture the magic of one of the most beloved bands in the pop/rock scene. About seven years ago, 14-year-old me officially fell in love with Joe, Nick and Kevin Jonas in the middle of their set opening for Hannah Montana. I had watched them on Disney Channel commercials for a while before that but being in their presence was a whole other story. Screams were heard, tears were shed, and that was the end of everything. Ever since that day, I’ve been overly devoted to the Jonas family, bonus Jonas included. I watched every single YouTube video and bought every magazine (shout out to the Rolling Stone cover, let’s just sit and think about that) that even mentioned the Jonas Brothers. Their self-titled album will forever be in my top 15 favorite albums of all time and their songs will forever be mixed into my Spotify playlists for every single occasion. Enough time has passed to look back and really appreciate the path they paved for the rest of the Disney kids from that era. If you think about it, they were a few of the first Disney kids to really be full-time celebrities and their music went past Disney Channel and blew up in the pop culture world. No matter what happens in the future, the Jonas Brothers will always be the first boyband I really truly devoted myself to. I mean I literally couldn’t speak for several minutes after I met them last summer, and I talk a lot so that’s really saying something. 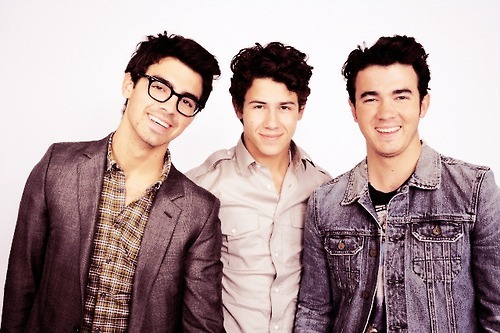 Although Nick is killing the game with his solo pop/R&B fusion solo brainchild, Kevin is a father that apparently builds houses in New Jersey, and Joe is writing tell-all articles about Demi Lovato and Miley Cyrus back in the day, they will forever be The Jonas Brothers in millions of fangirls’ hearts. Now go drown yourself in feels and watch Camp Rock on Netflix. Before Cassadee Pope won The Voice and kicked off her country/pop solo career, she fronted a pop/rock band called Hey Monday. Their short stint as a band was marked with a great amount of success, including tours supporting the likes of Fall Out Boy and Cobra Starship and being nominated for Alternative Press magazine’s band of the year in 2010. AP also gave them a coveted spot on their AP tour in 2010. Their song “Candles” was used on Glee. They got a lot more press than most other bands in the scene, but still decided to go on hiatus in 2011. Since it was called a hiatus and never officially said that they broke up, maybe they’ll decide to do something again today. Dear Every Avenue, can we tell you we’re a wreck? We’re thinking of you in our empty rooms wishing for days of the old where we could listen to your albums without needing to pick up the pieces of our clumsy little hearts. We’ve got our minds set on taking a step back to when you boys would be boys and rock out on the stage. We had a hard time saying goodbye when the hiatus was announced, especially since it hit us where it hurt the most. Even though you were gone too soon, we can’t not love you. We just want one more song and we’ll have our fingers crossed that someday, somehow, we’ll get it. For always and forever, Alter The Press! The following statement is probably a cliché, or at the very least overused, but My Chemical Romance was never just a band. Yes, they made some incredible and dark and beautiful music, but the band was also one of the first to step off the stage and into the lives of their fans. The band members became a support system for whoever needed them; the group rallied anyone who felt like a “freak” and made kids feel okay, even if it was just for the three and a half minutes of a song. Even for those who took down their Black Parade posters and stopped wearing their MCR merch long before the group actually called it quits, there was still a little sadness for anyone who ever screamed “I’m Not Okay (I Promise)” as the top of their lungs or found their own voice in the chorus of “Sing.” Saying goodbye to My Chemical Romance was like saying so long – and goodnight – to a fiercely loyal friend who had never left our side. 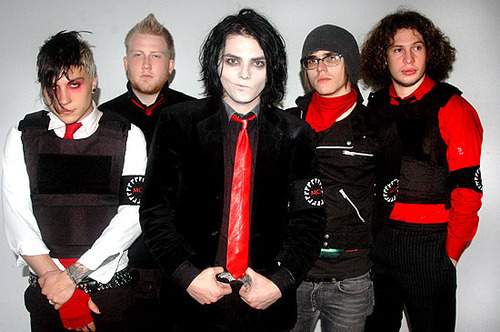 Though Gerard Way and Frank Iero have both gone on to create their own new and exciting music in separate ventures, we will always be hoping that My Chemical Romance simply faked its own death with every intention of returning one day.